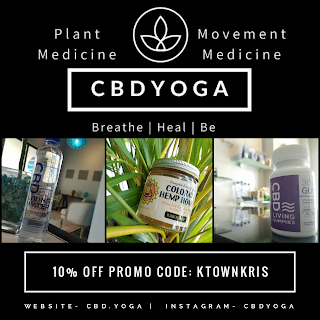 So my office started selling CBD* based products a few months ago and prior to that I was completely ignorant of these products even existing. Honestly I really didn't know anything about CBD in general so when we began discussing the chance of selling various products I started to do my research. The best part has been as new products come in the owner likes us to test them out so we can honestly know how well they work as well as give accurate testimonials to our clients. Recently we launched a website so those not in Jacksonville, FL can still order some of these amazing products from us. We order from several manufacturers so we offer a variety of options from gummies and tinctures to pain patches and honey. Each one has varying amounts of CBD in them and each person really has a different level for what helps them best. I usually recommend people trying a small amount to see how that helps and go from there. One of the reasons this excites me so much is I am very anti-medication. I have had serious issues with various meds, including allergic reactions as well as watched my mom's arthritis only worsen over the years no matter the medications she was taking and all the side effects that went with them made it all worse. So I am a huge fan of floating, massages, meditation and CBD. CBD is said to aid in insomnia, pain relief, anxiety, stress relief, muscle recovery and so much more. Don't take my word though, do your own research. You will find a lot of studies as well as testimonials and blogs about the benefits of CBD. It has all the benefits of Hemp without the psychoactive affects of THC. I will post an occasional blog about the new products as I try them. Because I am getting the products for free, the social media world considers that a #sponsored ad so I must mention that in all posts as well as the fact I got to try it for #free. Regardless of these facts I will always be honest in my reviews so that you all can know what is best for you. I also have a discount code you can use when you purchase products. This shows that my blogs are reaching you all and that you want to try a product out because you read it here and the more people use my code the more products I will be able to try and let you all know about so it's a win-win! 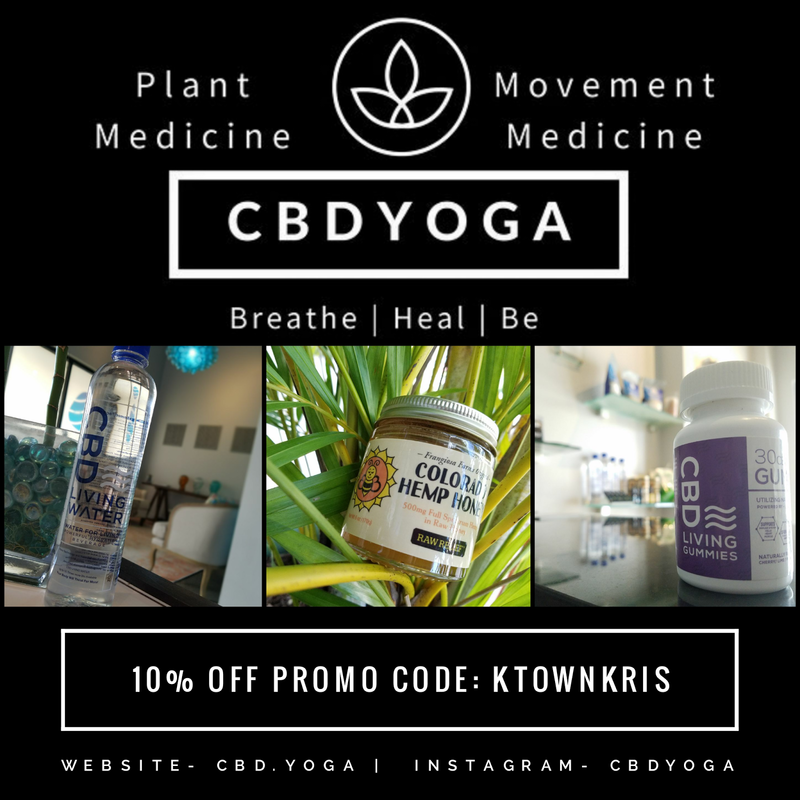 Check out the website at CBD.yoga and make sure to use the discount code: KtownKris when checking out for an extra 10% off! Let me know when you try something out, leave me a comment and occasionally I may look out for extra discounts for you all when they are available. Stay tuned for product reviews!